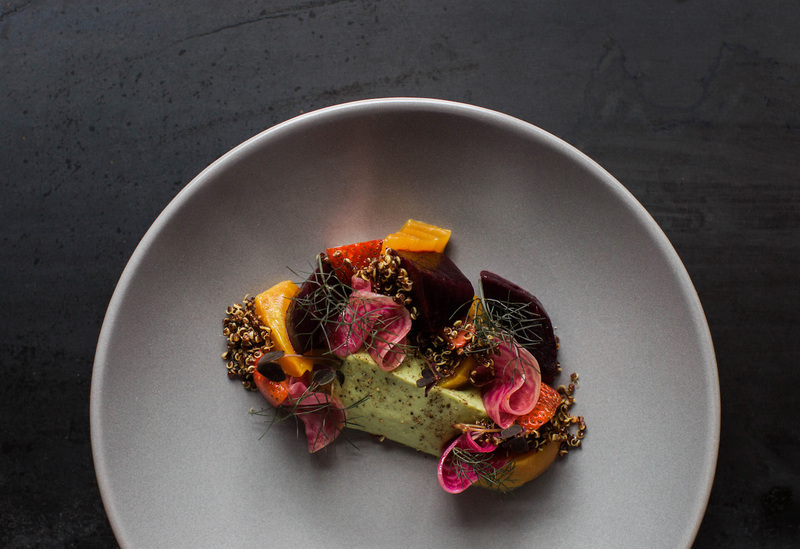 Sporting deeply sweet elements and rich earthy tones, beets always bring intense flavors to the table. The tasty taproots work well as an accent element, but they truly shine when used as the centerpiece ingredient. Here are seven delicious beet dishes starring the rustic root vegetable. Tower of power. 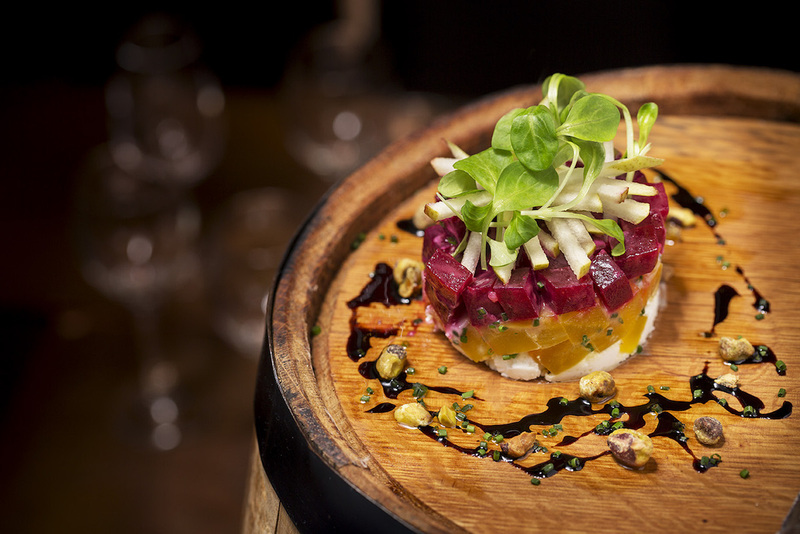 A foundation of goat cheese supports two floors of gold and red beets with a rooftop forged from matchstick Bosc pears. It’s finished with a flourish of Banyuls vinaigrette and pistachios. Make a reservation at Rx Boiler Room. Eat the rainbow. This kaleidoscopic preparation features a trio of beets: dark red, rich gold, and ones with pink and white concentric circles. Plus there are red strawberries and bright green avocado to add further splashes of color. Make a reservation at Uchi. 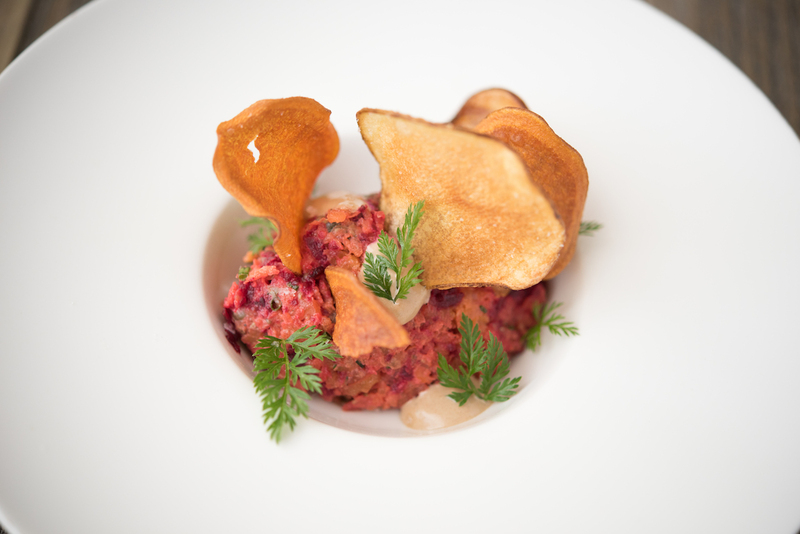 No cows were harmed in the making of this tartare. That’s because it’s created with a colorful array of beets and carrots dressed with black garlic aioli, capers, and mustard. Wavy root chips are perfect for scooping. Make a reservation at The Sarsaparilla Club. That’s gold, Jerry! Gold! Well, golden beets anyway. 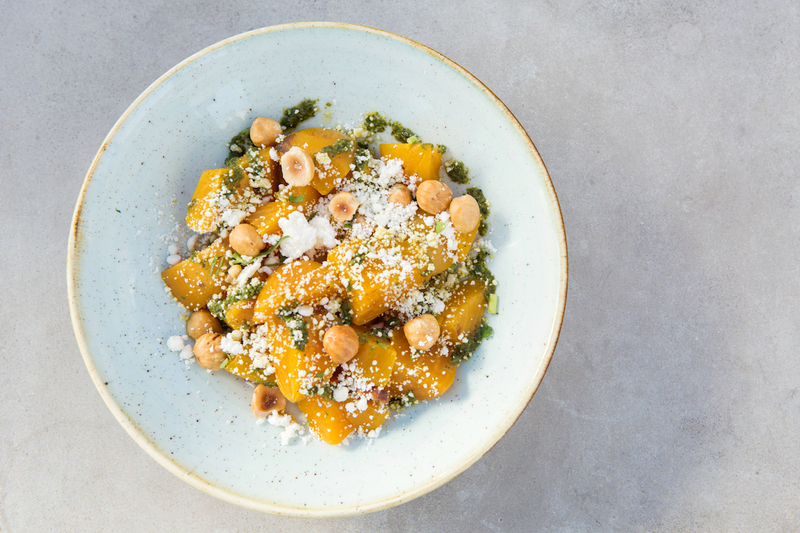 Auric chunks of the root vegetable are dressed up with ricotta salata, hazelnuts, herb oil, and sea salt. Make a reservation at Farmer & The Seahorse. 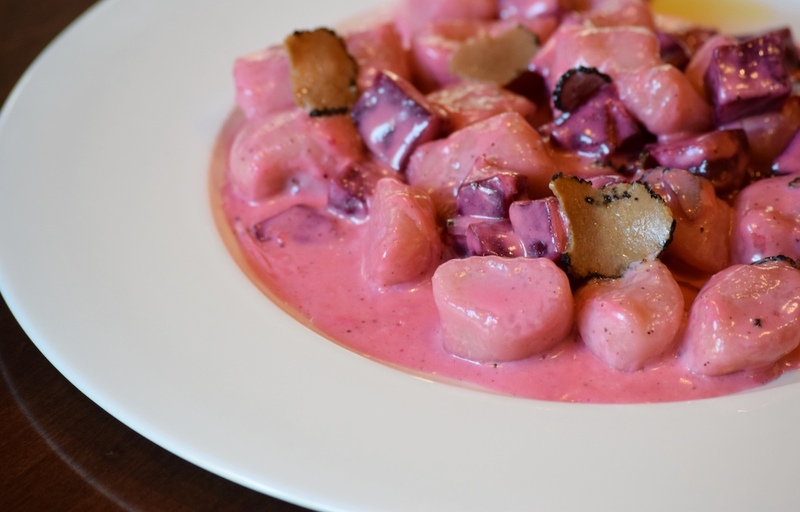 One of chef Kenny Giambalvo’s most beloved dishes is his namesake gnocchi. 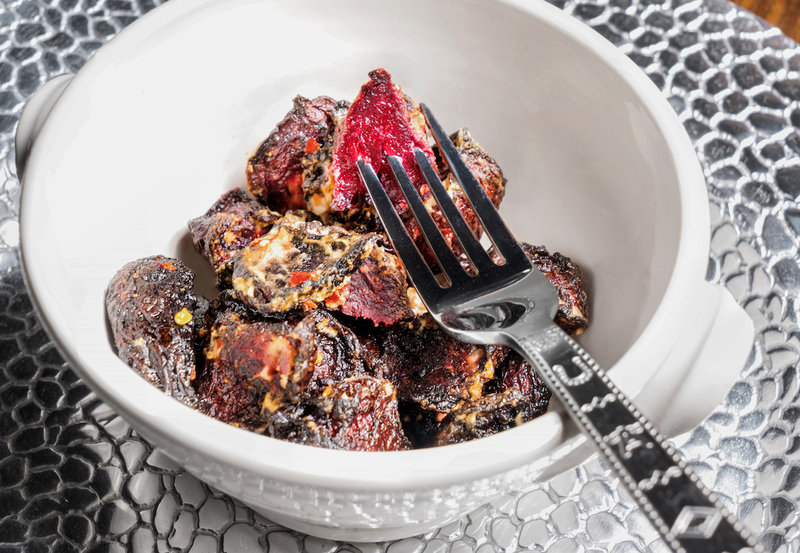 The tender knuckles are poached and simmered in an extravagantly rich sauce of black truffles, cream, and gorgonzola dolce, which gets its rich pink color from red beets. It’s finished off with a drizzle of black truffle oil. Make a reservation at Pazzo Ristorante. Move over apple tarte tatin because you’ve got some savory competition. 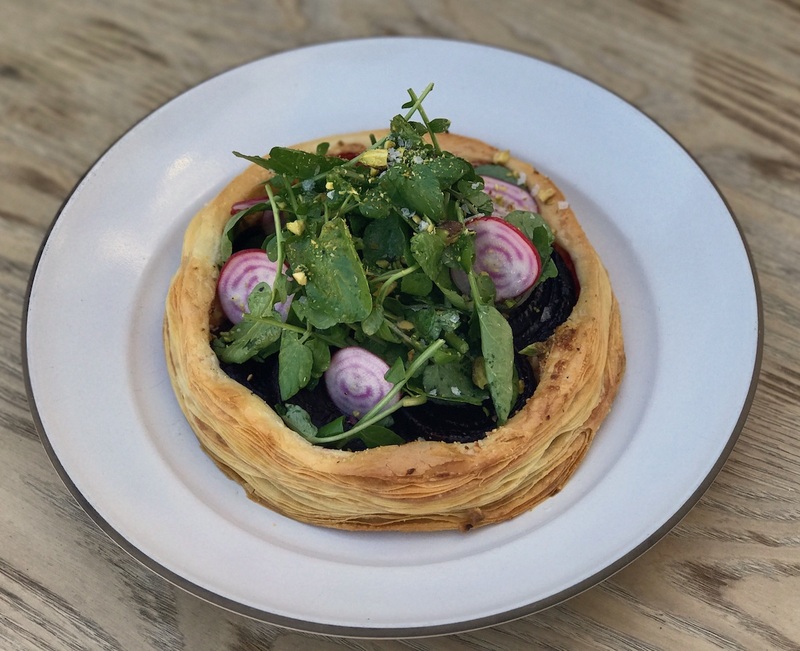 This flaky nest is filled with beets, smoked mascarpone, watercress, and pistachios. Simple and sublime. Make a reservation at Acacia House. Not your usual home fries. That’s because these are made with red beets instead. Don’t worry; they still taste great dunked in ketchup or hot sauce. Make a reservation at the Lonesome Dove. Let us know where you’re sampling the most delicious beet dishes of the season here or over on Facebook, G+, Instagram, Pinterest, or Twitter. And, remember to snap + share your #dishpics with us on Instagram for a chance to win in our weekly giveaway. Nevin Martell is a Washington, D.C.-based food and travel writer and the author of several books, including Freak Show Without A Tent: Swimming with Piranhas, Getting Stoned in Fiji and Other Family Vacations. Find him on Twitter @nevinmartell and Instagram @nevinmartell. Photo credits: Tim Love (Lonesome Dove); Sabin Orr Photography (Rx Boiler Room); Becca Batista (Farmer & The Seahorse); Heather Hawkins (Uchi); tjphotonotions.com (The Sarsaparilla Club).